This sterling silver plated spoon ring has a simple traditional pattern. It dates to the 1940s This is a big, hefty ring measuring in at 5/8ths inches high at one end and 5/16ths inch high at the other. It is a size 7 3/4. It is just perfect for a middle finger or index finger. 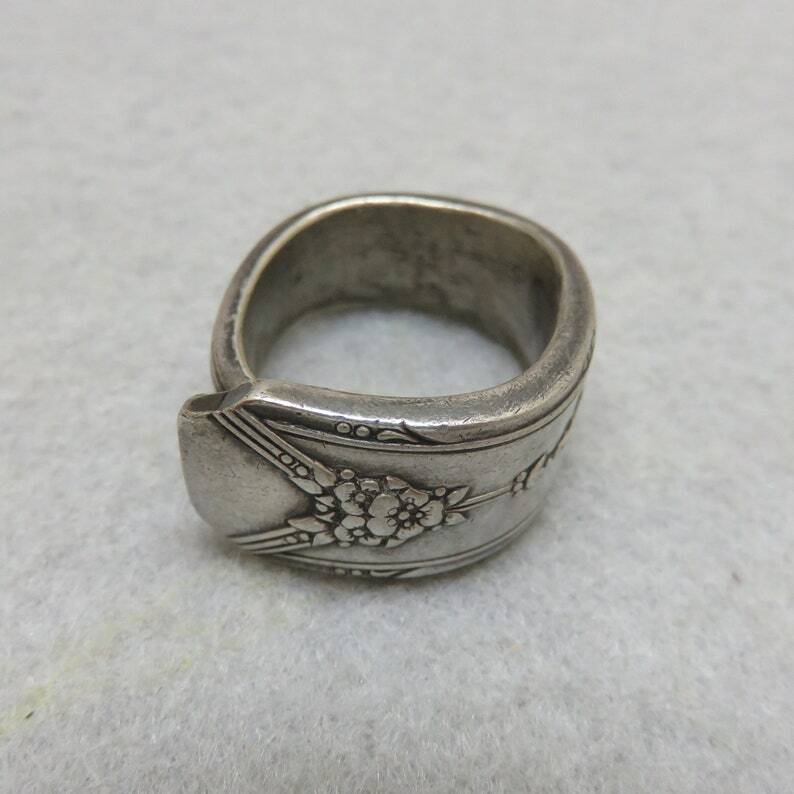 The silver has the patina of old metal but shows no metal wear. I can't read the manufacturer's name. 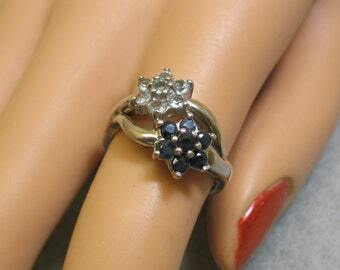 We will send this in a lovely ring box for stellar gift giving. 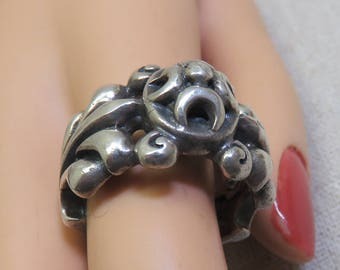 If you like vintage silver jewelry, old costume jewelry, western bolo ties and accessories, kindly check out my etsy store at www.etsy.com/shop/PANDPF.